During my time living and working abroad in Mexico, I perceived a concept which shaped me personally and professionally. It was a notion which was unfamiliar to me at the time but that is now fundamental: the idea of the living streets. Initially, to think of the street was to think of my car. 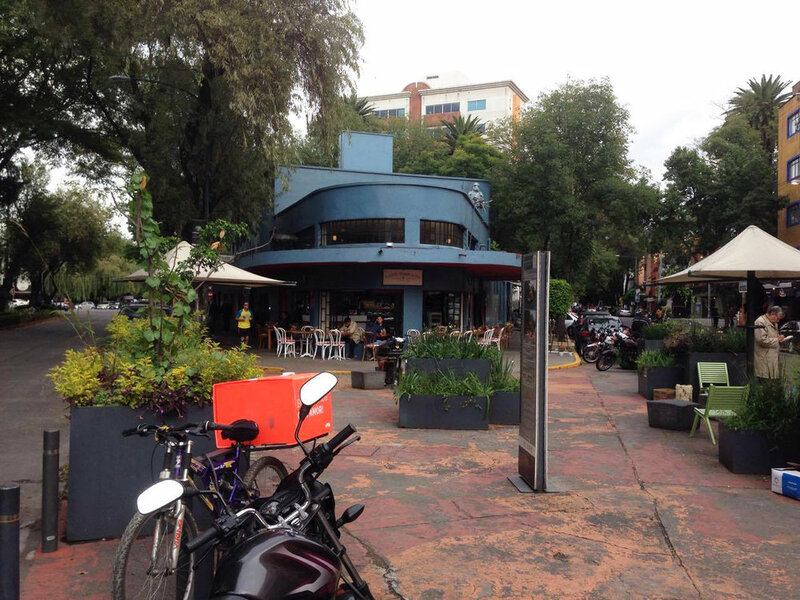 It was understood the street was intended for vehicular traffic, minimal pedestrian movement and nothing else. It felt as if I were to cross the street, I would be invading the space meant for the car. Mexico City radically reshaped this notion for me. Once there I was shocked, not by the cracked pavement or the large puddles, but by the activity on them - an ever-ending motion which was active, dynamic, energetic, as I like to say, pulsing. It was the interaction between neighbors and strangers, the echo of chatter and laughter, the flow of people moving from space to space like the flow of water. These spaces not only transported cars, even better, they served as pedestrian highways, meeting points, leisure areas, commercial venues and music stages. All of these activities which before seemed to occur in different locations, they were now happening in the same place, the streets. Contrary to previous experiences, these streets seemed to integrate communities, not separate and categorize them. They engaged and shaped entire neighborhoods by sparking interest and curiosity from people. It felt as if I was not only invited to cross the street, but to stay on it. As an aspiring urban designer, not only was the experience motivating, even more, it was a decisive step on my life journey. The living streets were now physical, visual, real. Durante mi estancia en México, pude percibir un concepto que me cambio tanto personalmente como profesionalmente. 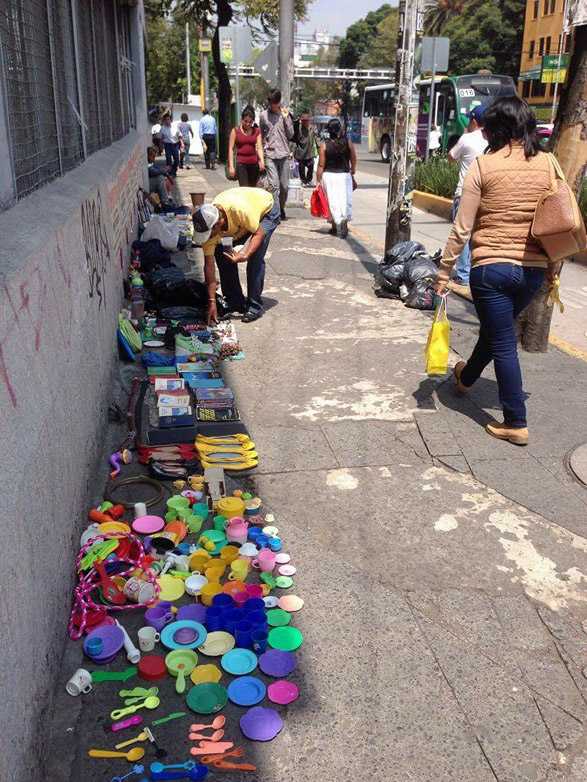 Era una idea con la cual no era familiar pero que ahora es fundamental: la noción de las calles pulsantes. En un principio, mi concepto de la calle estaba sujeto a la imagen de un coche. Era mi entender que estos espacios estaban diseñados para abastecer el tráfico vehicular, con un movimiento peatonal mínimo y nada más. Tanto así que al cruzar cualquier vía, me sentía como un invasor irrumpiendo el espacio del automóvil. 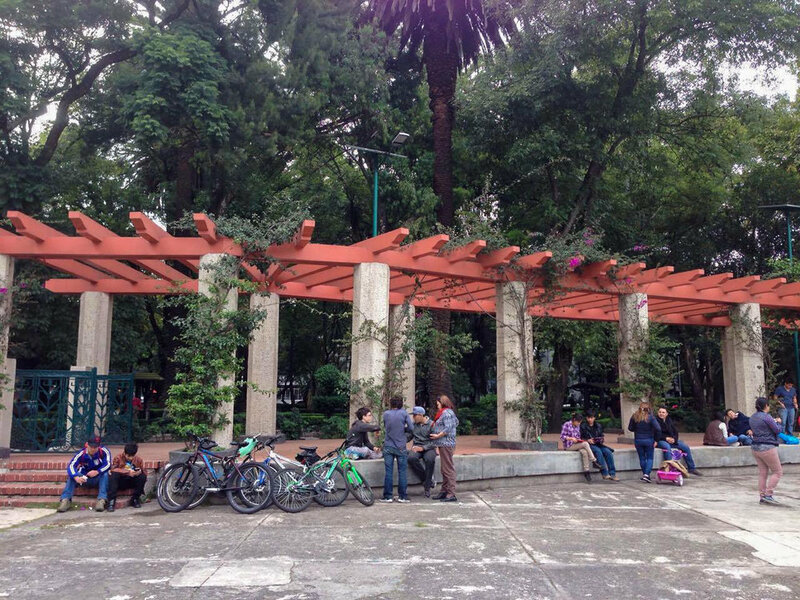 La Ciudad de México transformo esta concepción drásticamente. Al llegar a esta ciudad quede impactado, no por las brechas en el pavimento o los enormes charcos, si no por la actividad que se concentraba en ellas. Una actividad que era pulsante, dinámica, potente, como suelo llamarle, viviente. Era la interacción entre extraños y vecinos, el eco de charlas y carcajadas, la corriente de personas fluyendo de esquina a esquina como corriente de agua. Estos caminos no solo transportaban automóviles, aun mejor, servían como vías para peatones, puntos de encuentro, áreas de estar, espacios comerciales, escenarios musicales. Estas actividades que anteriormente ocurrían en lugares diferentes, pero aquí sucedían en el mismo espacio, las calles. Contrario a experiencias pasadas, estas calles parecían integrar comunidades, no sepáralas o clasificarlas. Parecían transformar vecindarios enteros al incitar interés y curiosidad en las personas. Tanto así que no solamente me sentía invitado a cruzar cualquier vía, si no quedarme en ella. Como un aspirante diseñador urbano, esta experiencia no solamente fue una inspiración, más allá, fue una etapa decisiva en mi trayecto de vida. Las calles pulsantes ahora eran físicas, visuales, reales.